Oh, for the Love of Vintage! Prize Giveaway to Mark 100 followers! | Oh, for the Love of Vintage! Yesterday, I realized that ‘Oh, for the Love of…Vintage!’ is four months old and has reached 100 followers! I can’t let a milestone like having 100 readers go by without recognizing it. Therefore, it’s time for another prize giveaway! There are two gifts this time, so there will be two winners. Exciting! I realize that this blog has both female and male readers and I wanted this giveaway to reflect that. On to the prizes! 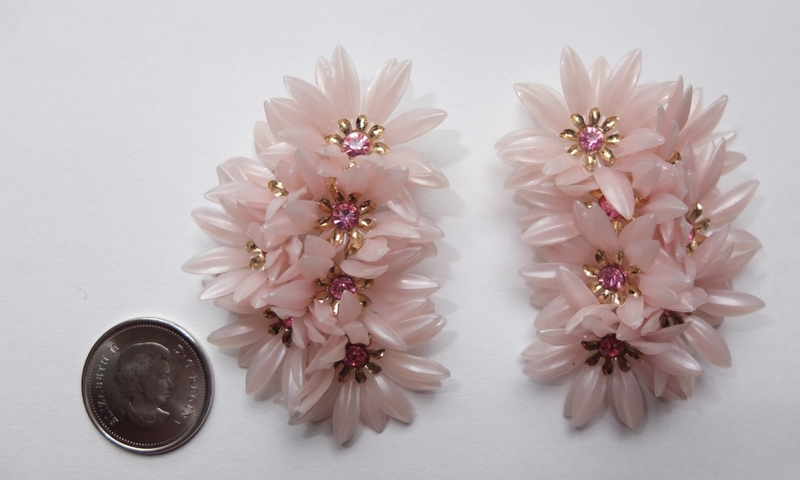 These 1950s pink clip-on Coro flower earrings are made from plastic, metal and rhinestones. Quite the statement earrings! These originally would have been part of a set and came with a matching necklace. 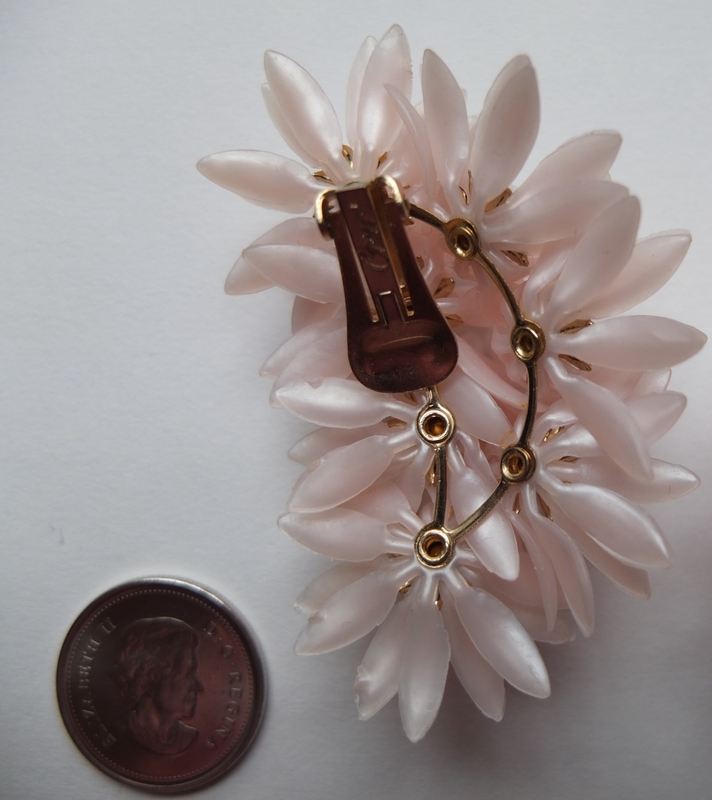 Earrings like this are collectible and the value is about $20. Yours for free, if you win! I’ve put a quarter (25 cent coin) next to the earrings to show the size of them. I’m not too knowledgeable about cufflinks, but these look to be from the 1930s. They are metal and feature a red cabochon (plastic center). The center is a bit scratched on the cufflinks, unfortunately. I think the other item included is a tie tac, but I could be mistaken. Do inform me, if you know! Reader itsallourvault informed me that the other item is a button stud. This draw is open to readers everywhere in the world! It is open to current followers and new followers (those who start following today and onwards). How you follow ‘Oh, for the Love of Vintage!’ (via wordpress, bloglovin, Google reader, RSS, email, etc.). Which of the two prizes you’d like win. You can only list one prize for your entry to be valid. How to contact you, should you be a winner. Note: You will get an extra entry into the giveaway if you tweet this post on Twitter. Be sure to let me know you’ve done this in your comment below. The deadline for your entries is May 18th, 2012. As long as the date in your comment post says ‘May 18th’ – it will be entered into the draw. The draw for both prizes will be made randomly on May 19th, 2012. The winners will be contacted privately and also announced on this blog. Congratulations!Didn’t realise you’d only been blogging for a few months – you’re such a pro! Keep up the great work. Thank you Louise for the kind words and for always taking the time to comment. I greatly appreciate it! Hi there! 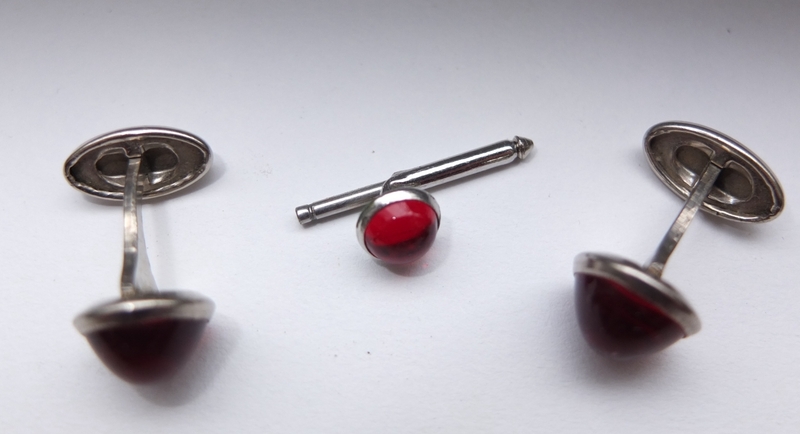 The center item in your cufflink lot is actually a button stud. They usually come in a set, so that the buttons on your shirt can match your cufflinks and tie tack! Thank you for letting me know itsallourvault, I had no clue what it was! I love gazing at Coro ads so I can’t believe you’re giving those fabulous earrings away. I can never seem to find a pair in the antique stores where I’m from so I’d be snatching those up in a heartbeat! 😉 I was following just by clicking through Fedora Lounge and in my browser’s fave list but I’ve since added you to my Google Blogger account. Can I please be in the drawing? Hi there! Of course you can be in the draw. And it’s great to have a fellow Fedora Lounger reading my blog. ;0 They are fun earrings and I do adore them, just not on me! You’ve done a great job with your blog, well done for sticking with it! And, you’ve got some great prize giveaways, well done! Think I might hang around for a while! hello deary! this is lovely! congratulations on 100 followers!!! may i please be in the drawing? You certainly can! Just follow the blog and let me know how you follow, via wordpress, Google reader, bloglovin’, etc. Pingback: Winner of the Prize Giveaway to Mark 100 followers! « Oh, for the Love of Vintage! 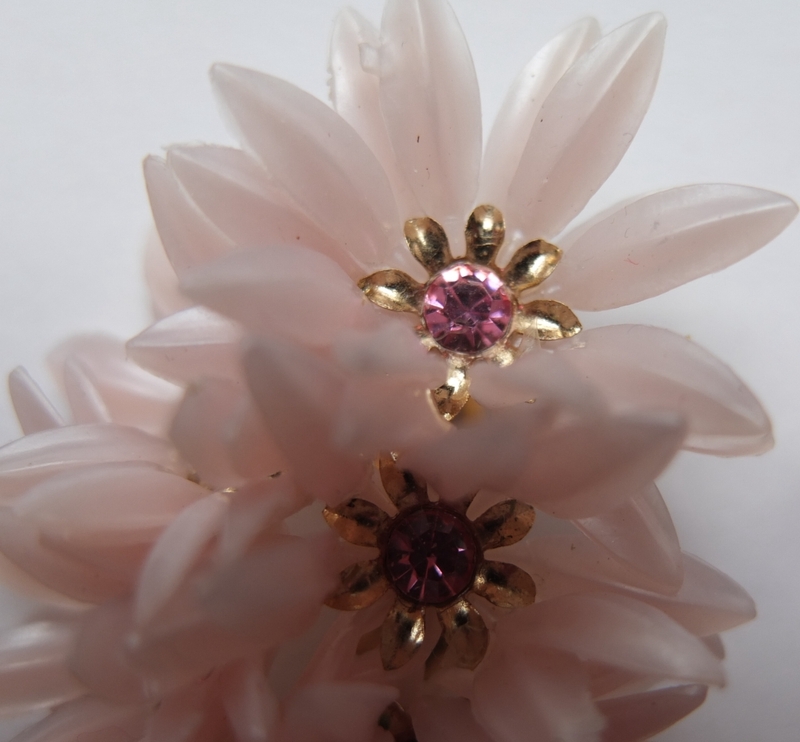 « Oh, for the Love of…Vintage Compacts!